Today I'm review a beer I had earlier in the week. It comes from one a brewery that creates as much hype as any in Victoria; Black Dog Brewery. I've visited the brewery, at a winery in Victoria's high country, and it's particularly picturesque and well worth a visit if you're up that way. 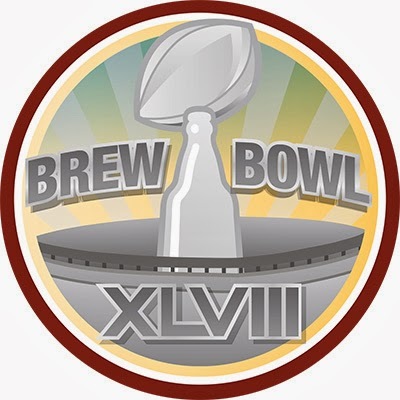 Brew Bowl XLVIII (or 48 for those who can't deal with Roman Numerals) was last Monday (Australia Time). This badge was simply for checking into a beer on Super Bowl Sunday. I can't think of an Australian beer that is hyped in the craft community as much as this one is. Black Dog constantly change the hop combination in this beer, seeking perfection, and so I was really looking forward to trying the current configuration. So onto the pour and the Howling Pale Ale pours a deep golden/light amber colour with a huge off-white head on top. The head is clearly helped by the shape of the California glass, which is so incredibly nice to drink out of. Good lacing is left behind by the head which has excellent retention. It's a very nice looking pale ale. Black Dog's Howling Pale Ale smells like I would expect a true American Pale Ale to smell like. There is a nice bed of caramel malts with some citrus and floral aromas coming from the hops. There's a lot to like about the nose of this beer. And the flavour doesn't let down the appearance or aroma. It's got a nice light caramel malt backbone like the aroma indicated. The hops impart good bitterness for the style and there are some grapefruit and herbal flavours coming off them. The mouthfeel and carbonation is perfectly balanced. It's just a lovely beer! This beer absolutely lived up to the hype! It's a sensational example of an American Pale Ale. Distribution is improving, Slowbeer in Melbourne now stock it, so there is no excuses not to go out and get yourself a few of these. You certainly won't be disappointed! 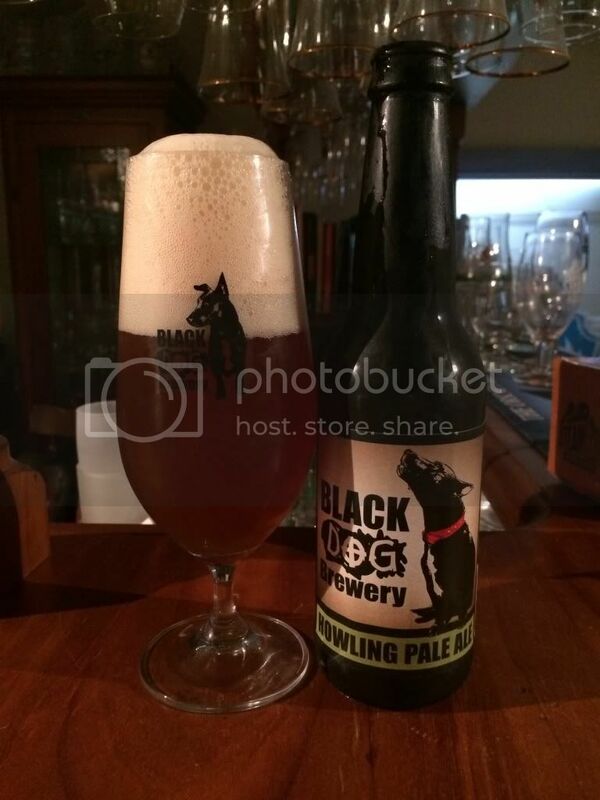 Look out for more Black Dog reviews on Beer O'Clock Australia soon.